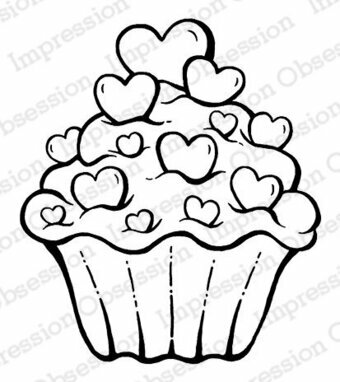 Cling Stamp from Impression Obsession featuring an adorable dog with a heart. 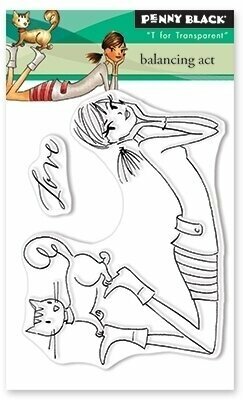 Love themed Impression Obsession cling stamp featuring a girl with the word "Love". 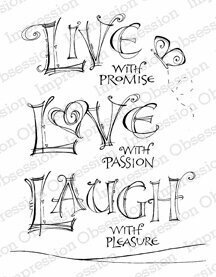 Art Impressions stamp featuring four friends. 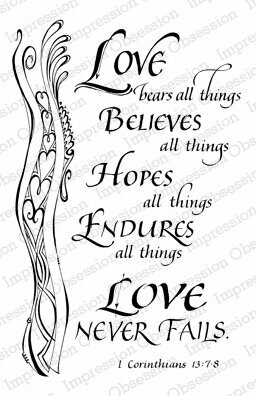 Kaisercraft Clear Stamp featuring the sentiment "Love is above all the gift of oneself". 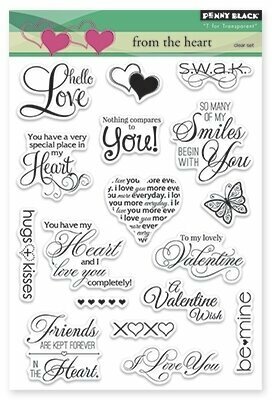 Perfect for birthdays, weddings, bridal showers, anniversaries or sympathy creations the Banners of Love Cling Stamp Set covers it all! 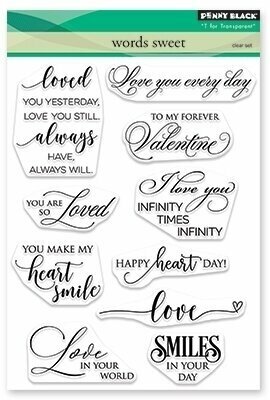 Choose from a delicate carnation like flower filled "Just for You" banner, a bold "Love" sentiment, an ornate "Praying for You" banner or a blank decorative banner ready to add your own sentiment. 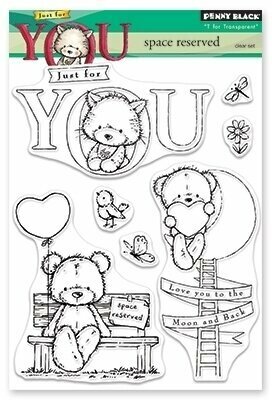 Finish off your creations with the pretty carnation like flower filled illustration as a dimensional die cut when paired with the coordinating die, or opt to create a delicate stamped background or repeating border. 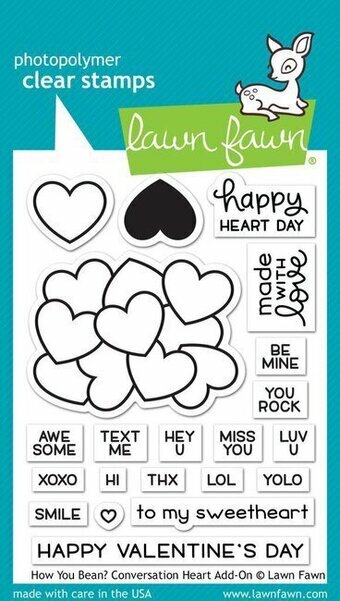 This cling stamp set is part of the Heartfelt Love Collection and pairs with the Banners of Love Die. Approximate Image Sizes: 1. 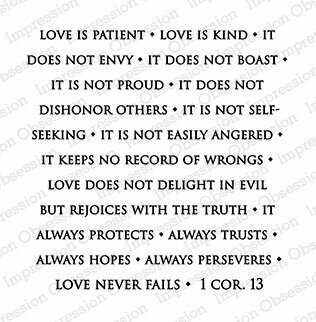 Love Sentiment: 3.75" x 1.25", 2. Praying for You Banner: 3.5" x 1.75", 3. 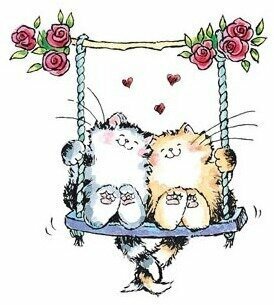 Just for You Banner: 3.25" x 1.5", 4. Blank Banner: 3.0" x 1.0", 5. Floral Accent: 2.5" x 2.0". 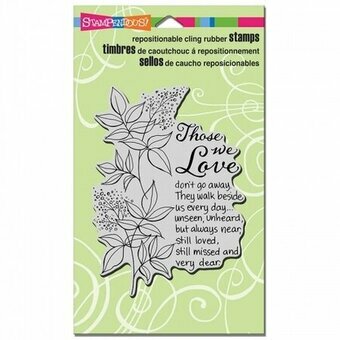 These cling stamps are ready to use with Acrylic Blocks. 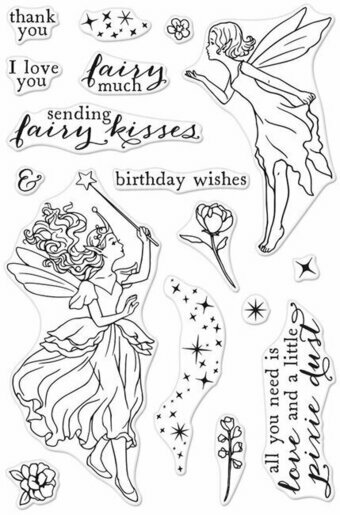 Included with stamp set: 1. Storage panel for use with a two or three ring binder, 2. Stamp packaging can also be used as a storage box for the stamp(s). 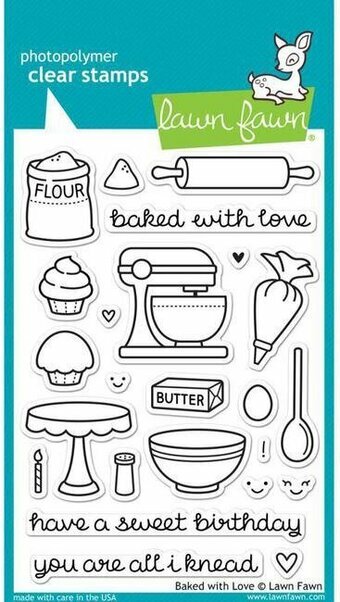 Baking/kitchen themed clear stamps from Lawn Fawn featuring a rolling pin, a mixer, flour, butter, and more. 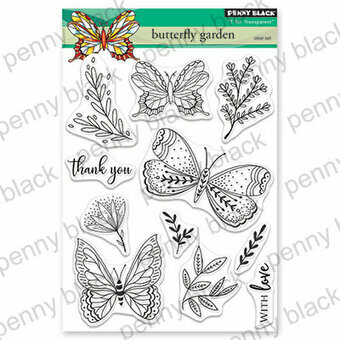 Mix and match hearts and flowers to make a bee-utiful garden for Valentine's Day or any occasion. 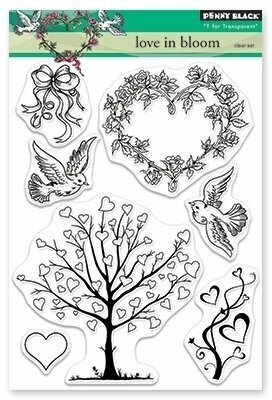 This mini set features eight clear stamps. 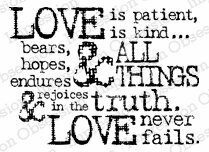 Approximate stamp sizes: [bee mine] 1 1/4"W x 1/2"H, [bee] 1/2"W x 1/2"H, [large heart] 3/4"W x 3/4"H, [trail] 1 3/8"W x 1/2"H.